The Xerox 5300 series is capable of producing tabloid copies at high speeds. The 110 duplex document feeders allows you to do more jobs, more quickly. Built with modern offices in mind, the Xerox 5300 series comes with a standard, large color touchscreen to make jobs easier and allow you to troubleshoot with ease. It offers the comfort of knowing you have trusted Xerox technology in a number of affordable options. So what copiers are part of the WorkCentre 5300 series? 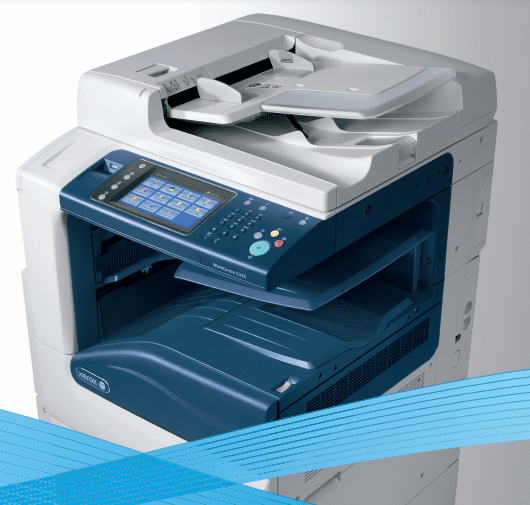 If you want to get one of the WorkCentre 5300 series copies in your office today then give us a call at Spokane Copier. We have the best deals on copier leases in Spokane and are enthusiastic to get you set up with the perfect copier today.